This evening we take time to consider how humanity turned away from God. In Genesis 3 we hear how Adam and Eve chose themselves over God. Because of that decision, sin and death entered the world, and God's beautiful creation became ill. 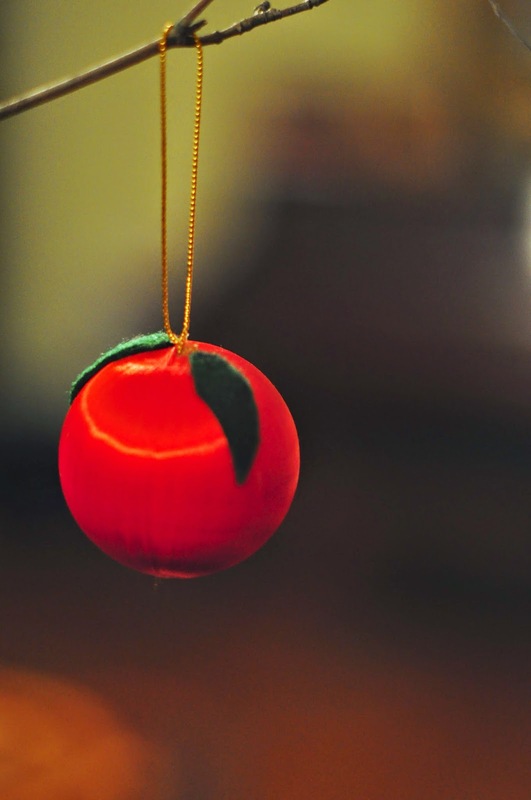 The ornament for our readings is a small red satin Christmas ball, on which green felt leaves are glued. It is a fitting reminder to us as Orthodox Christians as we enter this fasting season. What a profoundly heavy knowledge it is, that the first disobedience of God was one of food. It is a sobering reminder each time we are called to fast, if we take a moment to consider that little detail, and ponder how many times we choose that which we have been asked not to eat. It is also a profound message on the healing power of striving to follow the fast. As we submit ourselves to the church and God, we draw closer to Him.